Beyonce’s stylist, TY is currently following Jeremiah Ogbodo of Swanky's signatures styling on instagram. He started following him last night. 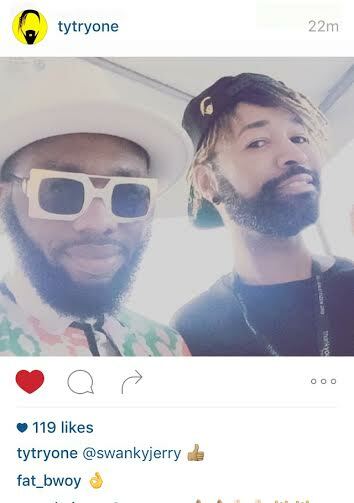 TY also posted a photo of himself and Swanky on his IG page when they met in New York.